Let’s raise a glass to the Old Boys Club. Because good or bad, you can raise a glass. And because good or bad, the Old Boys Club is no more. Rewind to roughly this time last year, and four of Denver’s five major professional sports franchises were managed by men who spent at least some of their playing days in those same uniforms. Things seemed optimistic in each of those locker rooms last August. Gary Kubiak, who backed up John Elway in three Super Bowl appearances and coordinated/quarterback coached the Broncos to a pair of Lombardi Trophies, was concerned only with picking a quarterback to defend the team’s third world championship, earned earlier that year. Pablo Mastroeni, who captained the Rapids to their only MLS Cup win in 2010, had his men atop the Supporter’s Shield standings and rolling with an impressive 9-1-8 record from mid-April to mid-August; the playoffs were a near certainty and USMNT stalwarts Jermaine Jones and Tim Howard were leading the way. Patrick Roy, who delivered two Stanley Cups between the pipes, was about to enter what would have been his fourth year on the bench for the Avalanche leading a talented, if underachieving, bunch. With the young core coming of age, this was going to be the year to get back to the playoffs. And Walt Weiss, the shortstop on the first Rockies team to ever make the playoffs, had his team just five games under .500 (the closest they’d been to that number late in the year in what seemed like ages) and only 6.5 games out of the Wild Card on Aug. 17. The Old Boys Club weren’t perfect, but it appeared they were headed – for the most part – in positive directions. With the dismissal of Pablo Mastroeni from his duties on Tuesday, though, the Old Boys Club is now disbanded. 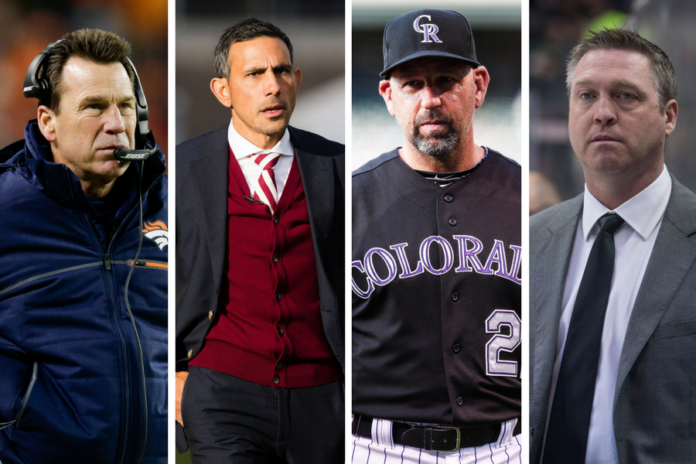 John Elway and Joe Sakic still hold front office positions, but when it comes to calling the shots on game day, no longer does any head coach or manager of Denver’s “Big 5” boast a previous tie to his organization. For one club, the past year has been nothing short of disastrous. The verdict remains out for two. And for the fourth it has been a godsend. Let’s call it like it is. Roy left the Avalanche in a bind. His quitting the team in mid-August, roughly six weeks before the start of the preseason, should have been a harbinger of things to come for Colorado. Jared Bednar walked into a tough spot after being hired on Aug. 25, and things only got tougher as the year went on. The Avs lost top defenseman Erik Johnson in early December amid a six-game losing streak. They would compile six losing streaks of five games or more, including a season-long nine-game losing streak, en route to a 22-56-4 record – the worst (points percentage) record in the shootout era. Bednar enters his second season with a roster that has not seen significant improvements, and he just lost a junior member of the Old Boy’s Club, Adam Foote, a defensive player development specialist for the organization. Considering Colorado’s weakness on defense these past few years, losing another of the best to ever don an Avs sweater can’t be a good thing. It’s far too early so guess what will follow for the Rapids in the wake of Mastroeni’s firing. Since reaching the Western Conference Championship in 2016, the organization has seen a massive front-office shakeup. The club parted ways with technical director Paul Bravo in January. President Tim Hinchey took a position elsewhere effective July 1. With Mastroeni now gone, that leaves interim figures in three key roles with the club. Sporting Director and Interim General Manager Padraig Smith held an open web forum on Thursday for fans and media, saying the primary goal moving forward is to find philosophical continuity between coaching and the front office. Those are hopeful words, but hope is running thin for the fan base of a team headed for its third season in four at or near the bottom of the table. Hope remains high for a return to the playoffs for the Denver Broncos, as it should with the No Fly Zone and Von Miller patrolling Sports Authority Field at Mile High. However, with a first-time head coach at the helm and still no definitive quarterback heading into the second preseason game, it’s hard to believe the Broncos can improve on last year’s 9-7 record. That wasn’t good enough to make the playoffs last season, and probably won’t be again in what is shaping up to be arguably the best division in football. Vance Joseph did the right thing in hiring Mike McCoy as offensive coordinator and promoting Joe Woods to defensive coordinator. Their presence should help Joseph’s learning curve, however the question marks at quarterback will continue to cast doubt on what this team can accomplish in 2017. Gary Kubiak left for health reasons, but the Broncos playoff hopes look no more healthy now than when he retired. The one club that does have a healthy outlook as August creeps closer to September is Bud Black‘s Colorado Rockies. 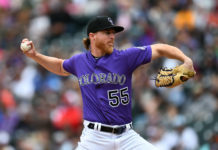 The former Padres skipper has been the near opposite of Walt Weiss – whose contract the Rockies chose not to extend after last season – in just about every way, on the field and off. He’s deftly managed an inexperienced pitching staff and is on pace for one of the best records in franchise history (currently just behind the 2009 Wild Card winners). He’s taught his club how to move on from losses and build on wins. He had the front office making moves at the trade deadline. Most importantly, he hasn’t let a few rough patches cause his team to completely crumble. 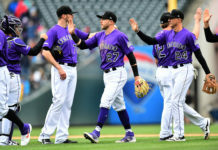 There’s still plenty of baseball to be played and the playoff are no guarantee at this point, but the Rockies have overachieved and appear headed in the right direction for the years ahead under Black. 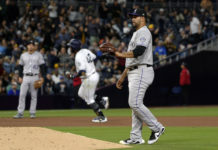 It would be unwise to prematurely toast October baseball at Coors Field; however, the Rockies did open registration for postseason ticket sales on Thursday – a promising sign that the champagne flutes are being dusted and readied. So while we wait to (hopefully) toast the Rockies, let’s raise a glass to the Old Boys Club. It wasn’t always good, and it wasn’t always bad, but it was certainly worth acknowledgement.